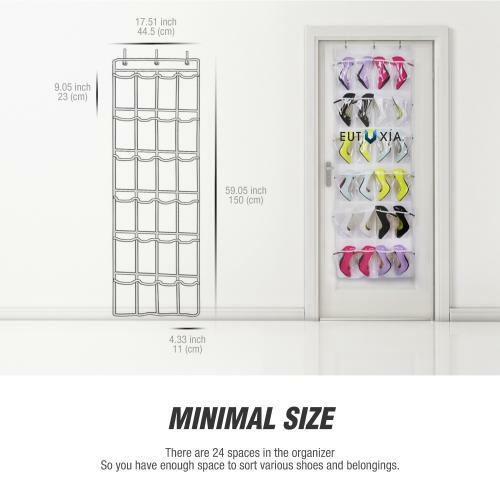 AccessoryGeeks.com | Over the Door Shoe Organizer [White/Clear] | Free Shipping! Over the Door Shoe Organizer [White/Clear] This easy to assemble Over-the-Door Shoe Bag has pockets to store and protect up to twelve pairs of shoes. Instantly de-clutter your closet or bedroom while also saving your shoes from unwanted damage. 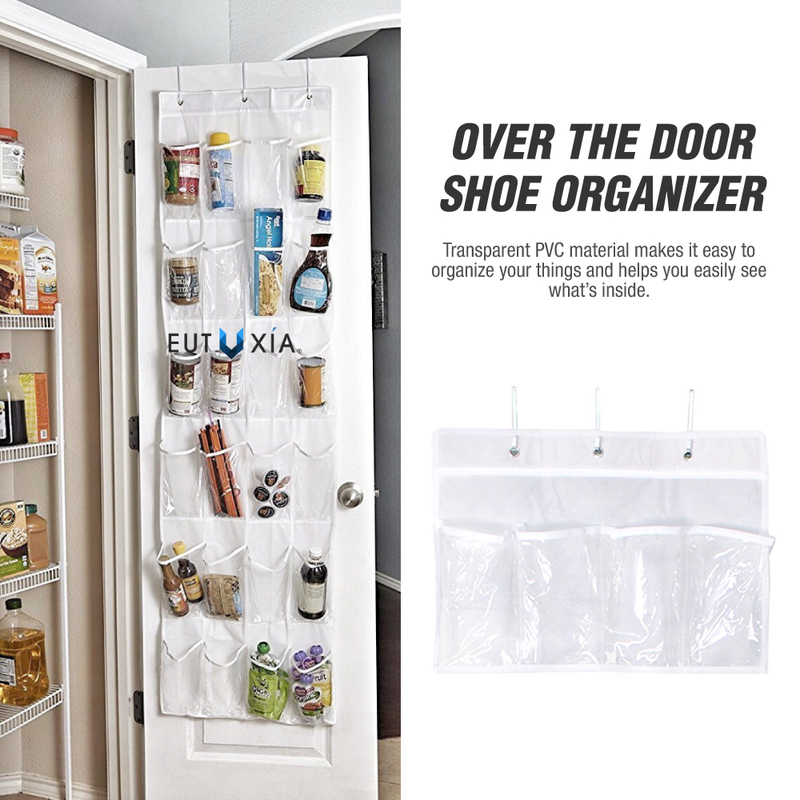 A simple over the door shoe organizer with 24 clear pockets for easy and convenient storage. 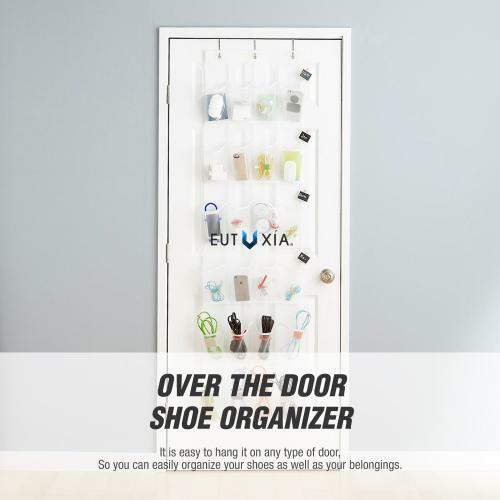 Let this organizer free up your floor space for you. The organizer pockets are made of transparent PVC material that is very durable. It is easy to tell what’s inside. No need to guess which item is where. 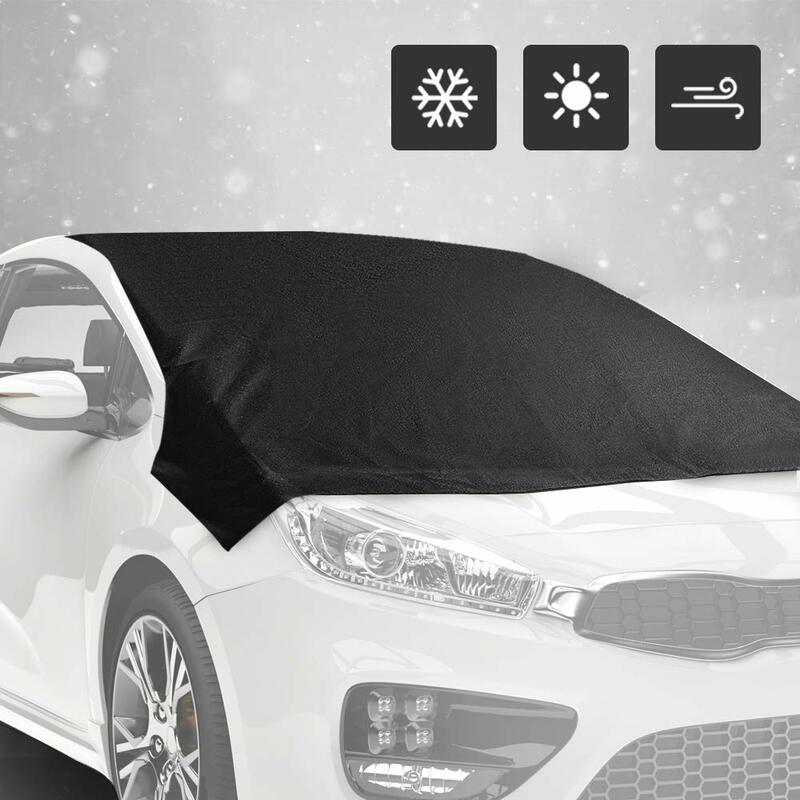 It also has a breathable mesh back for ventilation. The setup is very easy and straightforward. No hardware is required. 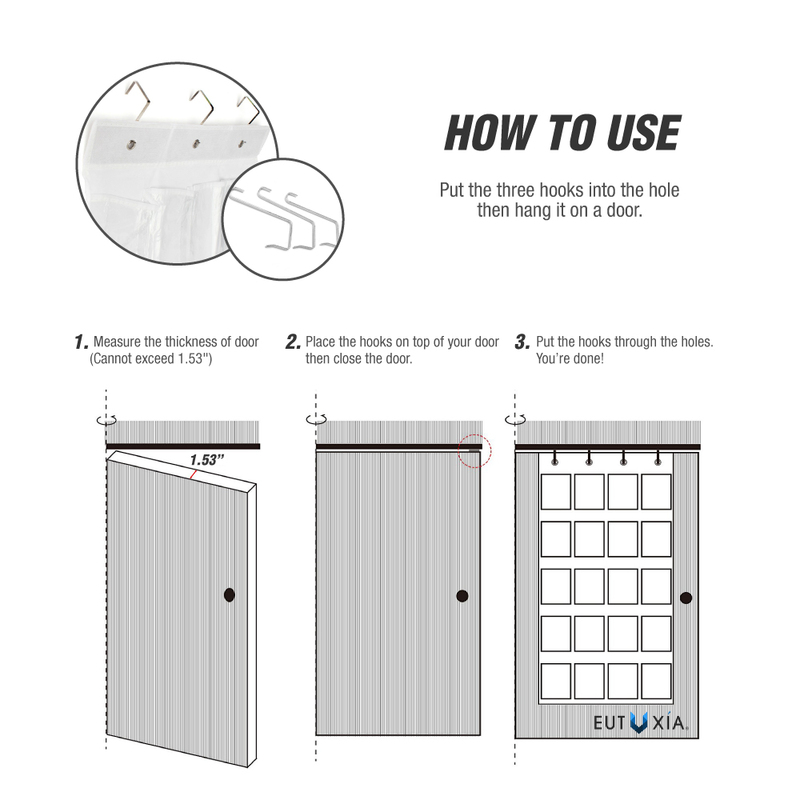 Simply put the 3 hooks on top of your desired door, then hang the organizer with the holes over the 3 hooks. 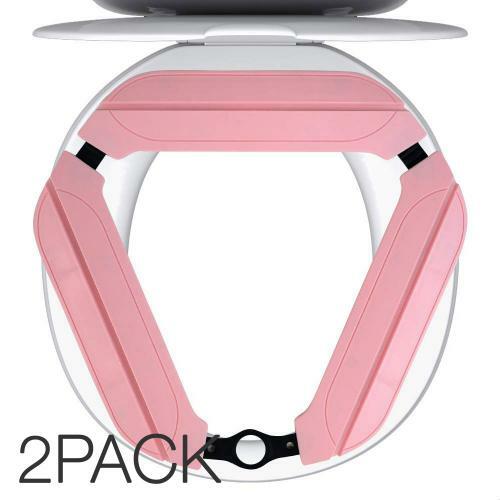 You can also cut the organizer horizontally to make it fit anywhere. 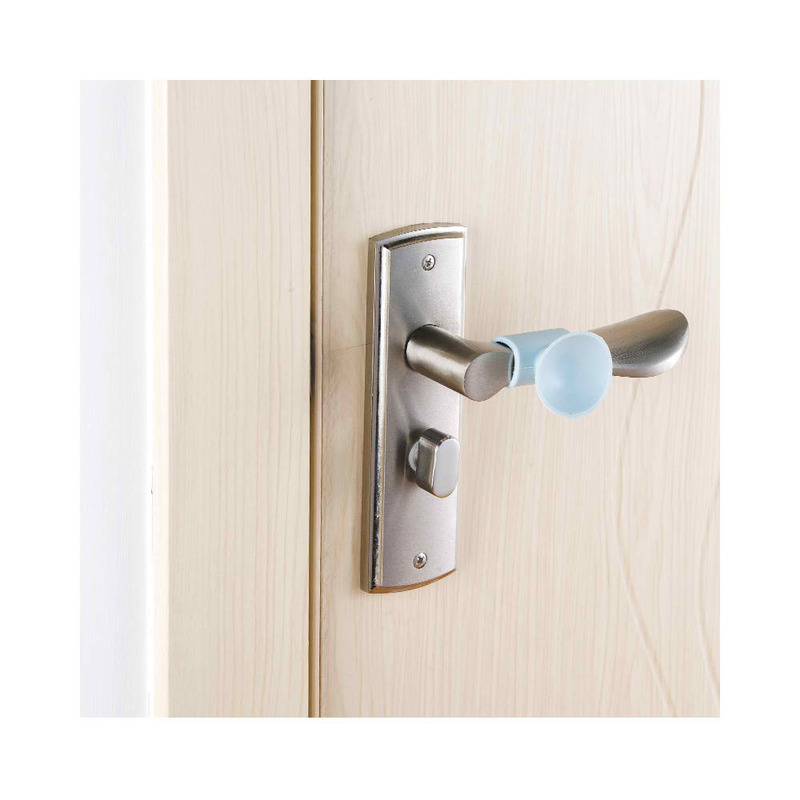 Hooks can be adjusted to accommodate various doors. Use it anywhere in your house. Organize 12 pairs of shoes to protect them from dust and damage. Hang it in your kitchen cabinet doors or even bathroom doors. Organize your cleaning supplies, makeups, toys, condiments, clothes, etc. There are endless possibilities. Be creative! 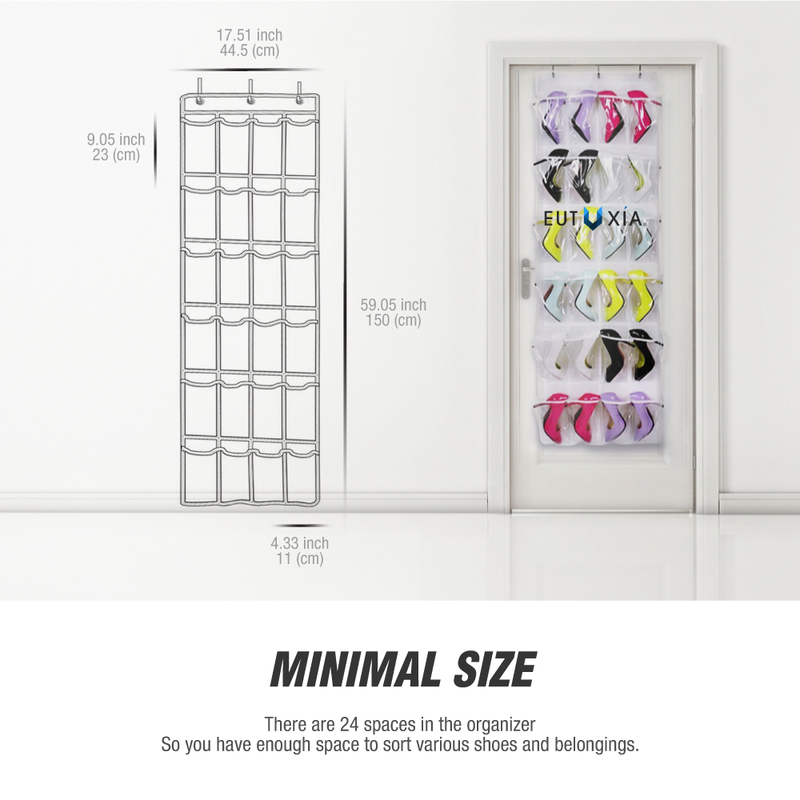 The organizer is 59 x 17.5 inches and is made to fit most doors in your home. 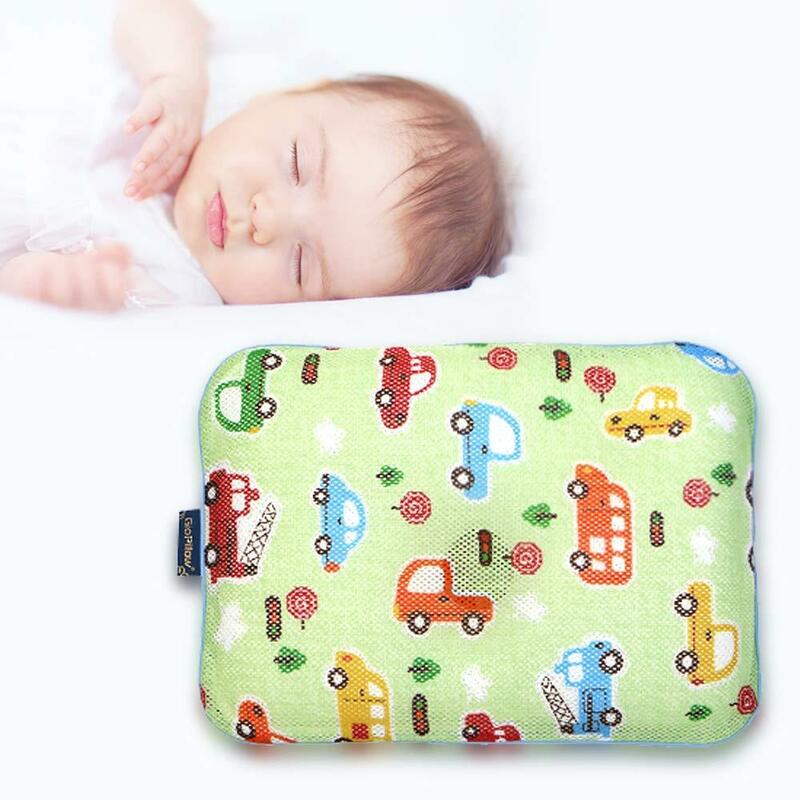 It can easily be folded for easy storage when not in use. It’s also small enough to carry it around on your vacations or business trips. This easy to assemble Over-the-Door Shoe Bag has pockets to store and protect up to twelve pairs of shoes. 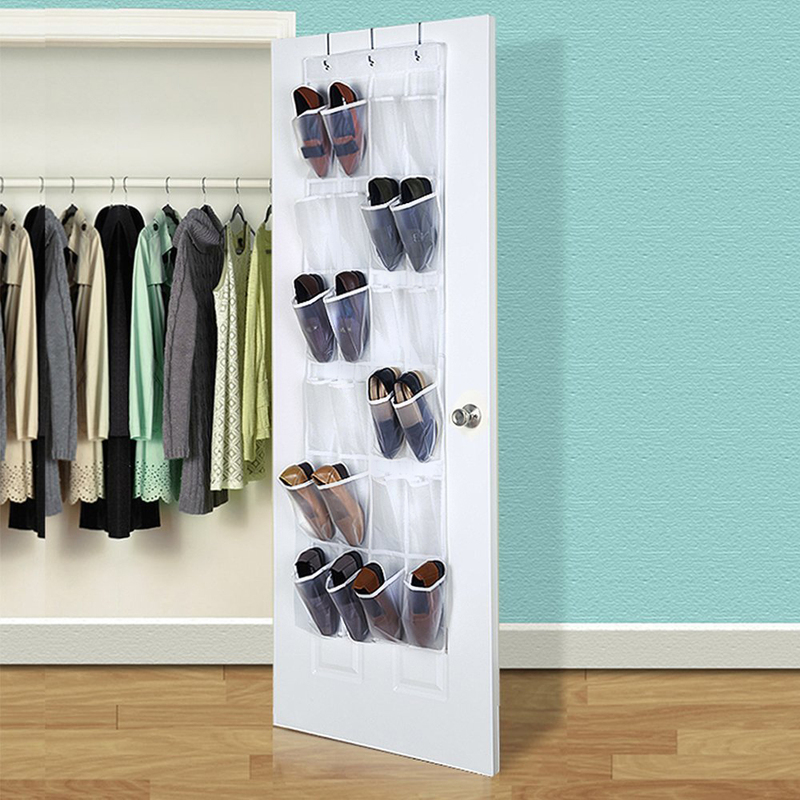 Instantly de-clutter your closet or bedroom while also saving your shoes from unwanted damage. This shoe bag is a snap to assemble using the provided hooks and hangs conveniently over standard size doors. 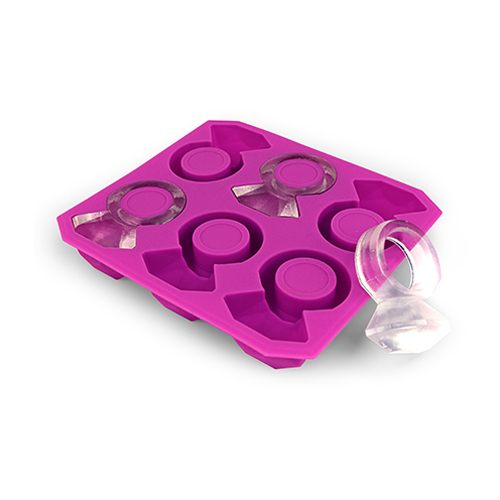 Kikkerland Diamond Ring Silicone Ice Cube Tray - Add some bling to your drink! It's so convenient to be able to keep so many shoes in a smaller area. This thing sits nicely our door and so far it stayed wonderfully! 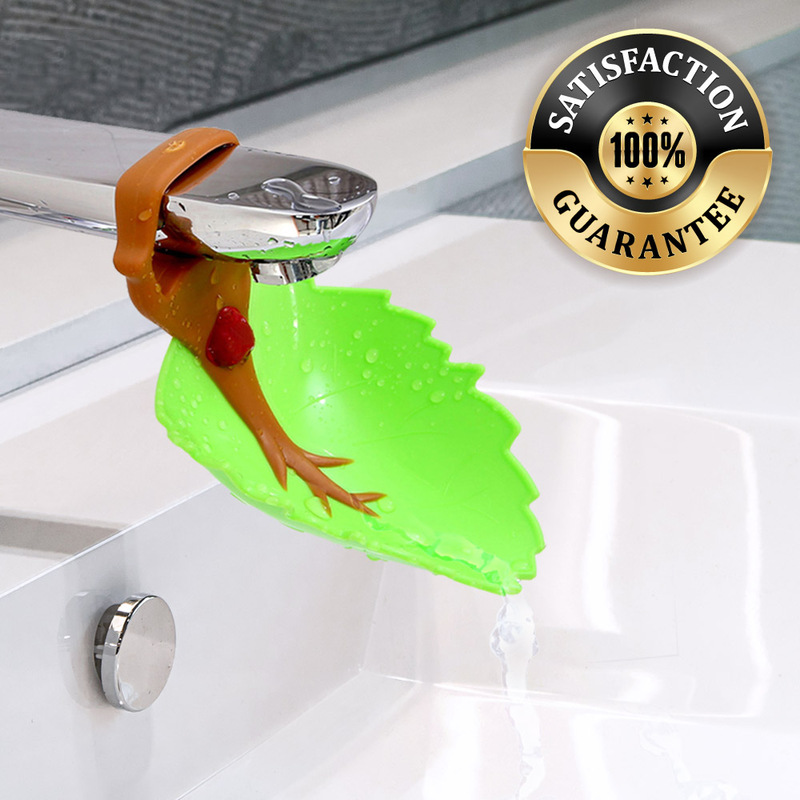 I am ordeing another one for my bathroom as well. It looks good! The shoes fit in nicely. It works perfectly because you can see all the shoes, the pairs together much easier than in a drawer and much neater than most shoe racks. Perfect size for small doors, very well made that provides a lot of needed storage in my guest bathroom and hall closer. Great solution for organizing loose items and shoes. 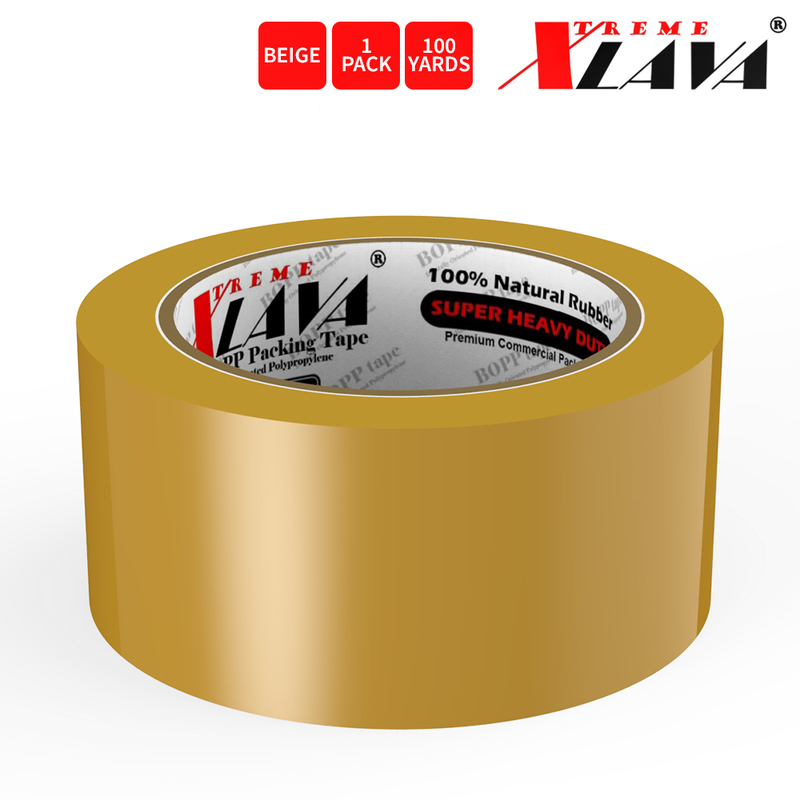 Fantastic and price quality! It fits perfectly over my bedroom door for my shoes, easy to see and find things. Worked great for that purpose. I plan on getting more to save space. Just hung this up today and it fits my shoes with ease! 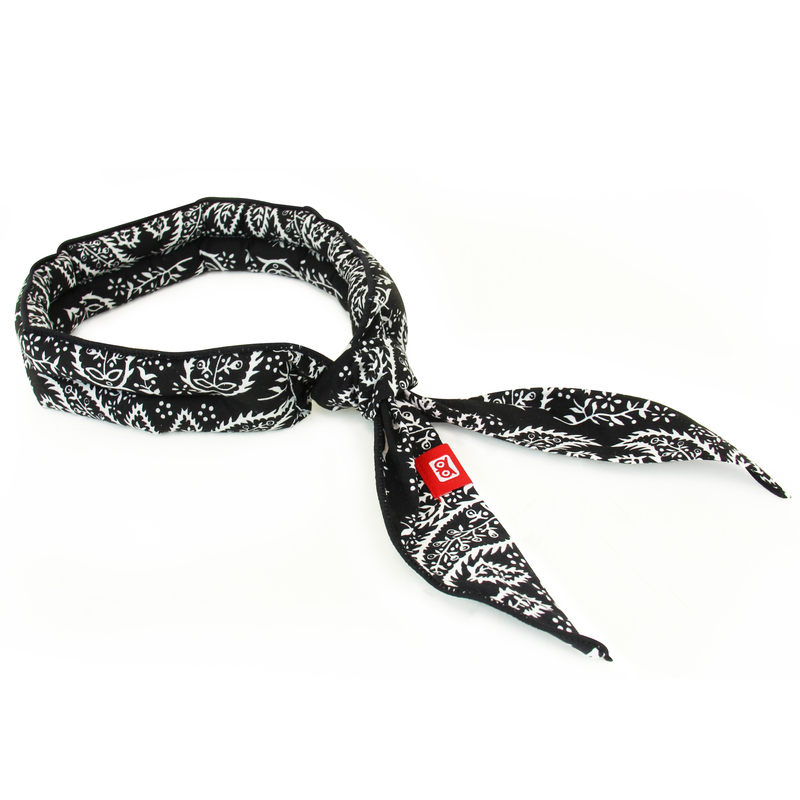 The mesh pocket is durable, able to hold things/shoes and also allow the shoes to breathe. I bought this to use in my daughter's closet for her apartment. It works perfectly! The clip fits over the door perfectly and it doesn't swing around when she open and shut the door. Planning to buy more as a gift for my family/friends. Love these things! We bought two. One for shoes in the front hallway and one organizing the hall closet. They are super sturdy mesh pockets. Great for keeping your most items handy in the closet but yet well organized. These things are extremely useful! I have bought it and use them in my office, laundry room, and I use it for general storage in my bedroom. Great space saver! Great for storage beyond shoes. It was convenient to grab as we were leaving our room. We also store things light, winter hats/gloves, cleaning products, kids toys or craft supplies. Will get another one! 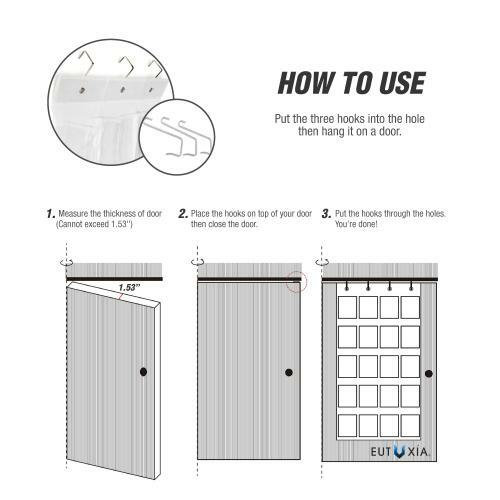 You're reviewing: Eutuxia Over the Door 24 Pocket Shoe Organizer Hanging Rack with 3 Steel Door Hooks. Breathable Mesh Back with Transparent PVC Pockets. Good for Closet, Kitchen, or Organizing Your Room. Space Saver.